Switchgrass is a warm-season perennial bunchgrass native to much of the United States. It’s one of the dominant species of the tallgrass prairie, and can grow up to six feet tall. Valuable as livestock forage, wildlife habitat, erosion control and biofuel source. Performs well on a wide range of soils. 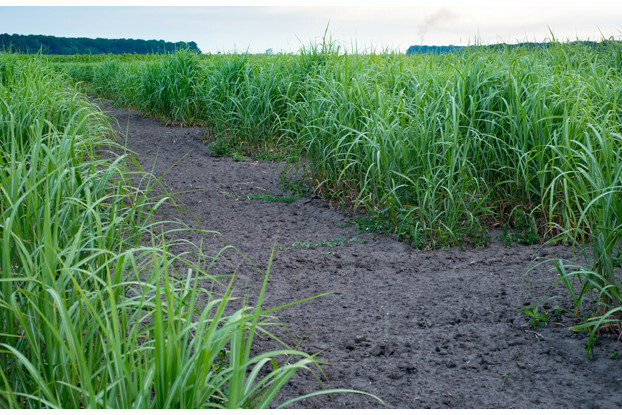 While switchgrass produces excellent forage and hay for most livestock, it should not be used for horses as it may have a phototoxic reaction. It can be grown without irrigation in areas receiving at least 13 inches of annual precipitation.